Product information "Galvanic microfibre swabs (4 pieces)"
compatible with Tifoo pen plating system "GalvanoBrush"
4 Exchangeable swabs in top quality. Perfectly suited for all of the galvanic electrolytes from Tifoo. Especially suited for chrome electrolyte. The swabs are made of robust and absorbant microfibre and are completely sewed, so that a long working life is guaranteed. The swabs have an opening at one side so that they can easily be put on our electroplating rod anodes. 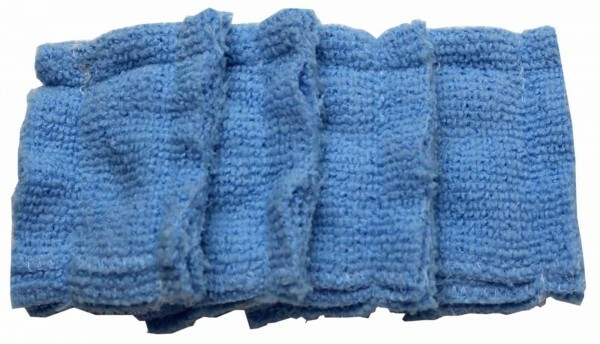 Microfibre is resistant to chemicals and for that very durable. Related links to "Galvanic microfibre swabs (4 pieces)"
Customer evaluation for "Galvanic microfibre swabs (4 pieces)"